An enthusiastically taboo, devil-may-care outing … and a great writing inspiration to use on old books headed for the bin. 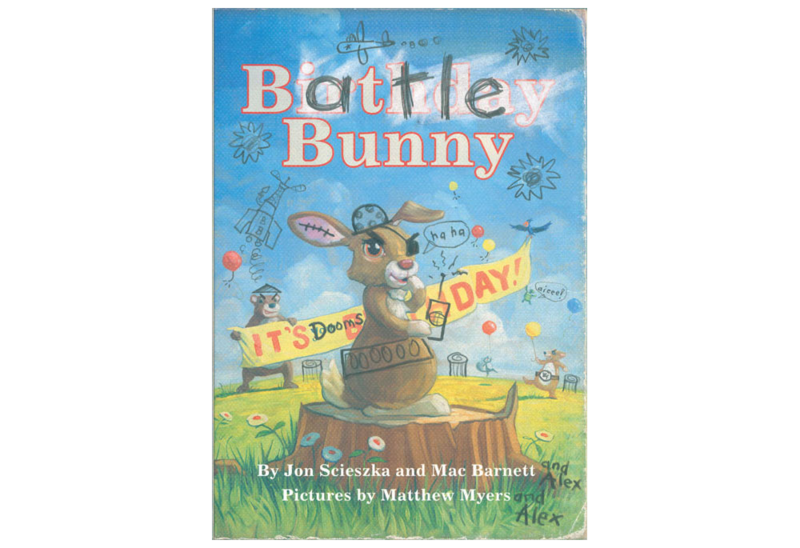 Scieszka, Barnett, and Myers invite children to take an active role in the story and to think critically about the choices author and artist make. A perfect book to give independent readers who are looking for something a little different. An honest reflection of the ways kids interact with books–in a way that’s accessible to kids themselves–as well as a complexly layered work of comic genius. and Birthday Bunny itself is a straw man, purpose-built to be defaced. Still, expect this to be something of a novelty hit !!!!!!! among the man-children in your life.